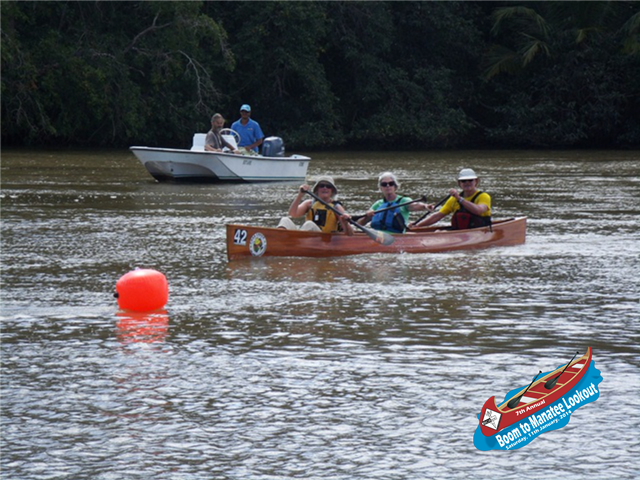 The 2014 paddling season kicked off with the 7th Annual Boom to Manatee Lookout Race, sponsored by Bear Mountain Boats, Architectural Accents, Belize Global Travel Services, and Joseph and Taylor. The race was held on Saturday, 11th January, 2014. The race got start at little after 10am. The river was high so teams time to complete the course was one of the fastest ever with the first place team NICH, Oscar Cordon, Efrian and Felix Cruz, completing the race in 1:14. Second place in the male category went to team BTL Cobb’s Arm, Roy Cano, Erick Cano, and Andres Cabb. The Belize Bank Bulldogs Armin Lopez, Amado and Daniel Cruz, finished third. 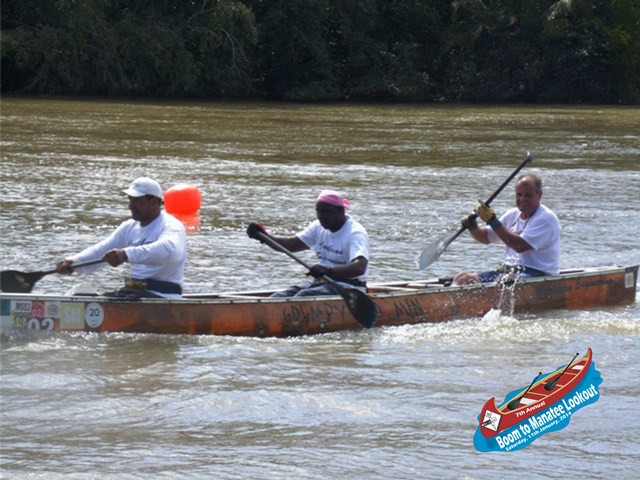 D & A Construction slipped into the fourth spot with Leon and Ray Gillett and Jeremy Sanchez paddling for their team. Hener and Ervin Cruz along with Jerry Cante brought their Westrac team into fifth place finishing just ahead of the Joseph and Taylor team made up of Francis Codd, Jerry Rhaburn and Chris Guydis, in the seventh position overall. Rounding up the male category was Watt A Ting from Sea Sports Belize made up of John Searle, Robert Bailey and Tyreek Thompson. First place in the Intramural division was Wateva Boyz from D & D finished sixth overall. 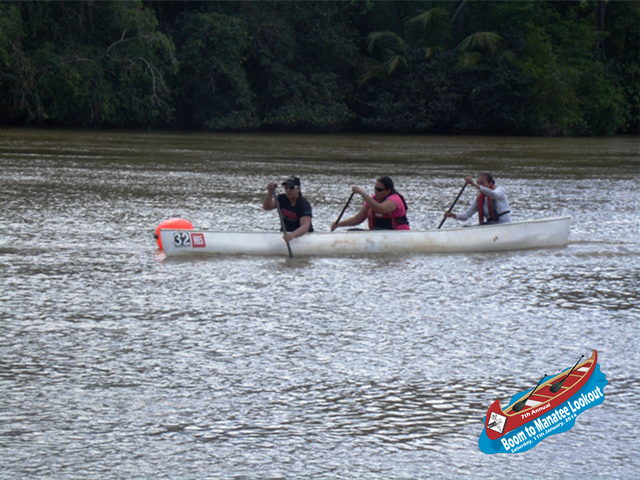 The mixed team sponsored by Black Orchid Resort with paddlers Wilberto Daniels, Jayda Guydis, and Jermaine Sanchez finished eighth overall. First place in the Juniors division was River Kings sponsored by Belize River High School with Jeffrey Seguro, Matthew Mask and Ashton Moody. The Turdz, sponsored by Raymond Woods, finished thirteenth overall with only two paddlers, Martin Gideon and Glenford Sutherland. In the Pleasure division we had Print Belize, Francisco Perez, Rudolph Gentle and Ernest Santos coming in eleventh place overall. The Female team made up of Jane and Bobby Usher and Anna Camp paddled team Pawty Tun Up, sponsored by Rt. Hon. Said Musa, into a first place finish. Lastly the Masters division, first place went to Grumpy Old Men, Jerry Wilken, Stanley Bailey and Joe Seguro finishing ahead of our visiting International team of the Crazy Cannucks. Joan Barrett, Katie Stewart and Jim Stewart from Canada who paddled their canoe sponsored by Bear Mountain Boats across the finish line in a time of 1:36. All first place teams in their respective categories received a trophy, medals and cash prize of $150. Second place finisher received a cash prize of $75 and medals. Third place received a medal and $50 cash prize. BCAnoe would also like to announce that it presented a Distinguished Award of Appreciation to Ms Joan Barrett of Bear Mountain Boats for her valuable sponsorship to BCAnoe which demonstrates an “invariable mark of wisdom”, and her continued interest and involvement towards canoe racing in Belize. 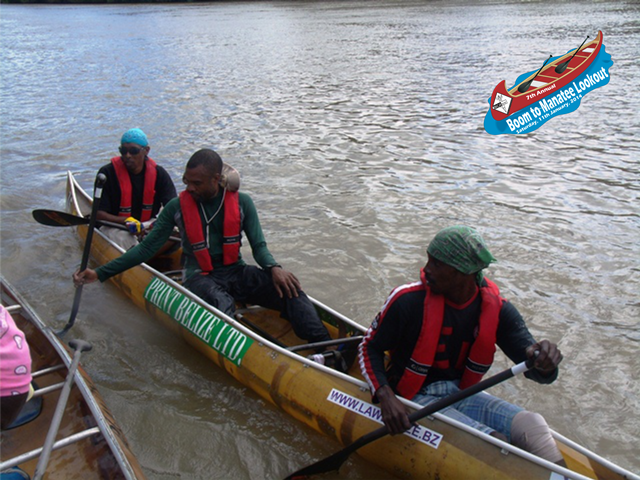 BCanoe would like to thank the Sponsors mentioned above, Sea Sports Belize for the use of their boat as safety. Manatee Lookout Restaurant & Bar for hosting us, every one of the paddlers, support crew, fans and helpers who helped kick off the 2014 canoe season. Next Race UpStream: Haulover Bridge to Burrell Boom, Saturday, 25th January, 2014. Race starts at 9:00am. MEMBERS ONLY! Photos:Saga Humane Society says THANK YOU! !